I’m from Chattanooga, original home of the Krystal (the company was bought out a few years ago by an Atlanta-based corporation) so I am 100% on the Krystal bandwagon. We LOVE Krystals! I can’t complain about White Castle, though. We don’t have them here but there are some in Nashville and we like them too! Thanks, Mary! As I was prepping for this post, I did a little research, and it seems like people tend to prefer the one (White Castle or Krystal) that they grew up on, which makes sense. Gosh, they all look so good, it’s hard to choose! Although the chicken sliders with peach chutney are calling my name! Awesome! I love that peach & chicken combo too! They all look so delicious! Slider really are the perfect summer meal, I think the chicken and Peach is my fave! That’s a great story, Pech! You know, I’m not big on fast food in general, but since we live so far from one, those little WC sliders are a really special treat. The frozen ones? I’m not even going there. Honestly, sliders are awesome no matter what people think they are. I think these are all lovely recipes and all are perfect for the summer especially if you’re hosting a bbq or a picnic! I am a midwestern gal who loves sliders. I have even spent my Valentine’s day at a White Castle. My definition is more like a mini sandwich. What a great collection of slider recipes. I’ve always liked them for the size and how you can make so many different variations of them. All of these look amazing! 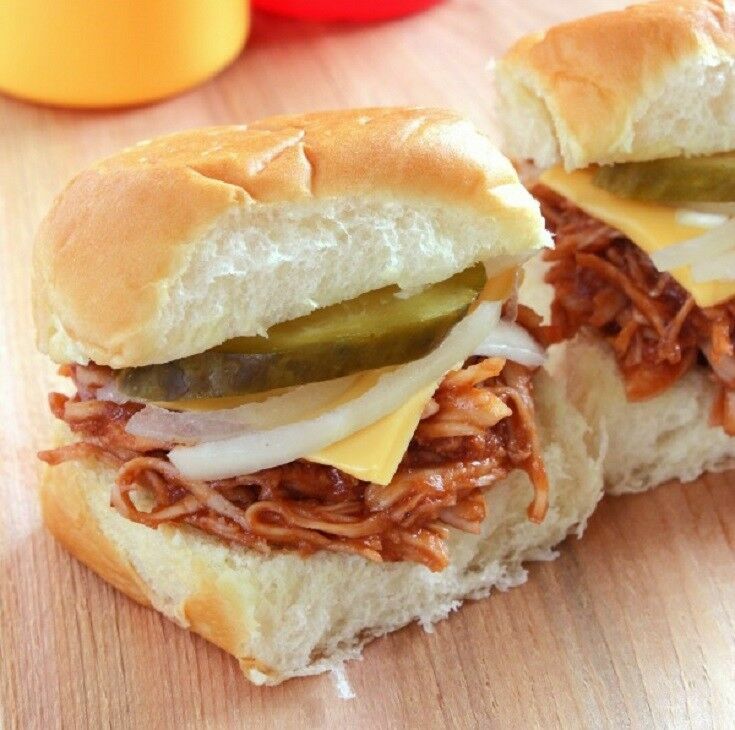 we just make BBQ pulled chicken slider with white american cheese and they were delicious! I can’t wait to try some of these! I’m going with your interpretation! I love sliders! 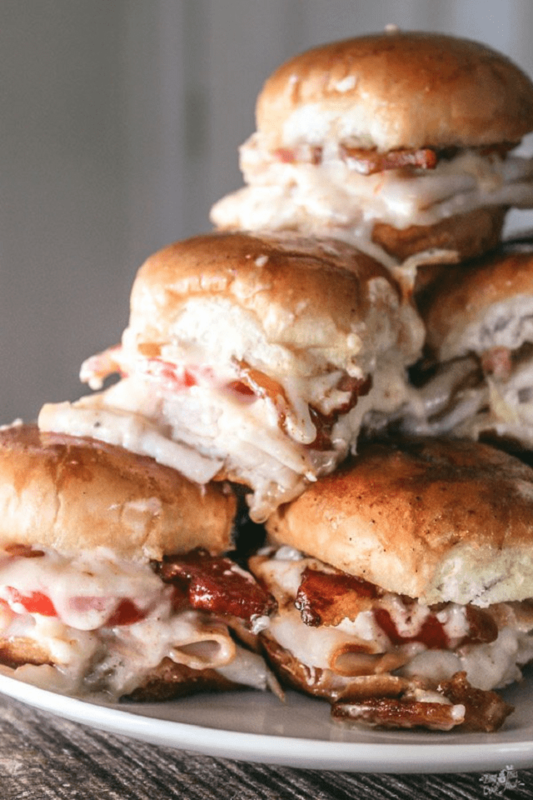 Those Kentucky Hot Brown Sliders look awesome! I haven’t had a White Castle in years. A once and awhile treat! Never tried Krystal. 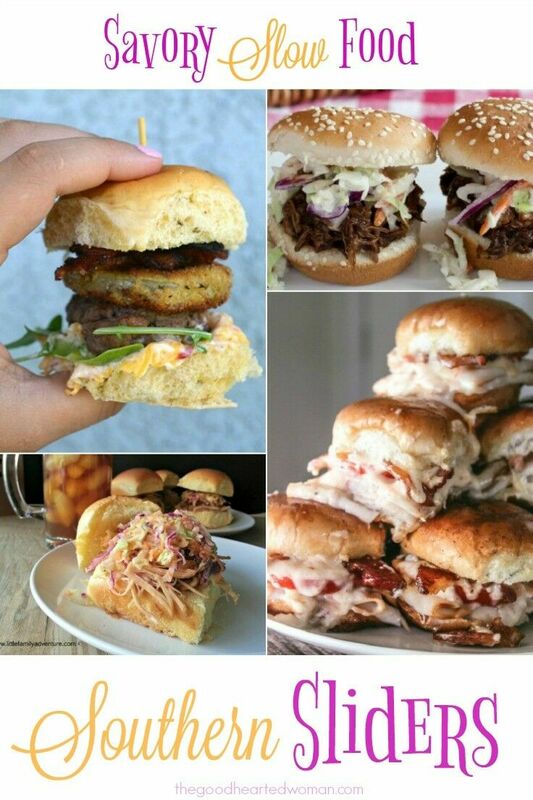 Love your variety of slider recipes. I will have to try them. What a fun idea doing the comparison. I don’t think I have wither places out here in Oregon. I also like the wider interpretation of the slider. We definitely do not have either one here. They don’t go past the Mississippi. The Great Slider debate- so funny. 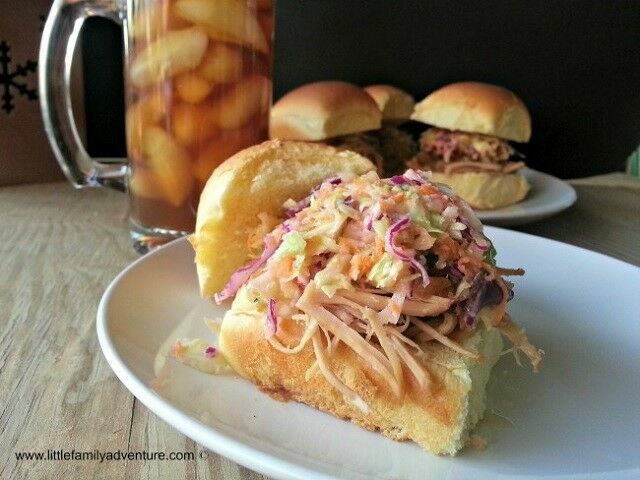 I have never heard of that…but the Carolina Pork sliders look so yummy! All of these do! I don’t think I’ve ever had either brand of sliders, but fried chicken sliders are my thing and I could eat several in one sitting! We use to always make an obligatory stop at Krystal when we would go to Tennessee for vacation! I’m much more of a fan for a big juicy slider like those Kentucky Hot Brown Sliders! Carolina girl here, and I know all about what you’re talkin’. Sliders are the trendy snack lately, and southern sliders are really the best of the best. I’m from a town that is famous for barbecue so you can find some tasty barbecue sliders on the menu at a lot of places. These look delicious too! We don’t have a Krystal here but I have eaten at them when visiting my family in Tennessee. Your post just reminded me of them and times we have shared! 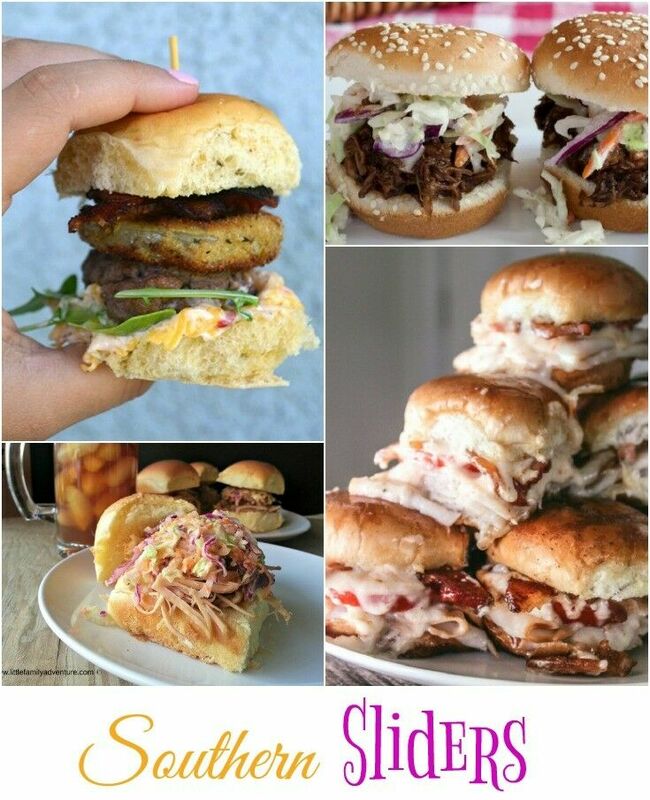  I love sliders and making them for get togethers at my house. They are always a crowd pleaser and I love the different twists these recipes provide! I LOVE your definition of a slider… and I’m going to start using these recipes! My mouth started watering reading them. Pinning them for later! 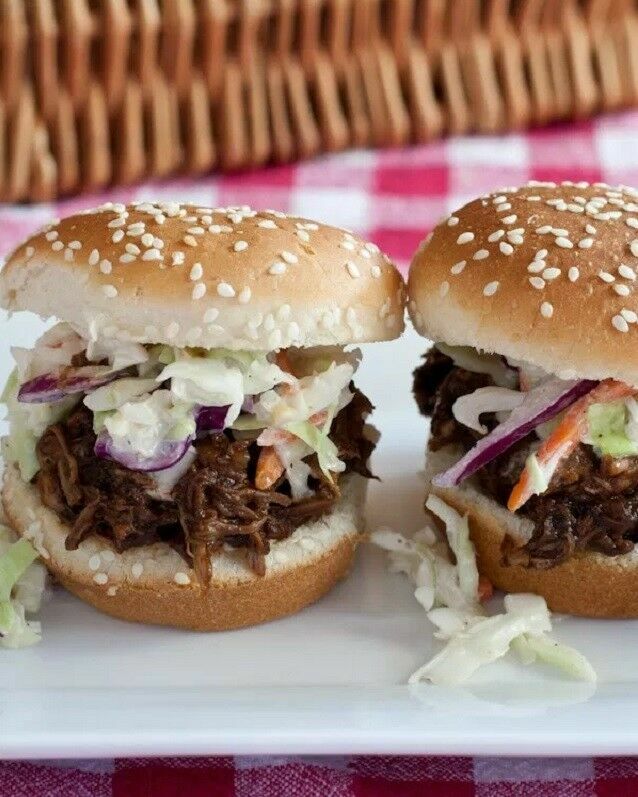 I really like the idea of adding coleslaw to a slider. The crunchy texture and creamy flavor take the meatiness up a notch. These all look so tasty! I think sliders are just such a fun way to eat burgers. Same ingredients, just smaller bites. Fun! I have only tried Krystal sliders. I have not had the chance to try White Castle. There isn’t one anywhere near me. I have to say that the Krystal sliders to me are no that good. I am hoping that the White Castle ones are better. I always thought of sliders as mini burgers or sandwiches and I haven’t really thought about the whole debate about it. So long as the family enjoys them, it doesn’t matter what they are called. I love how versatile these sliders are. They can be prepared so many ways and are perfect for outdoor family gatherings.